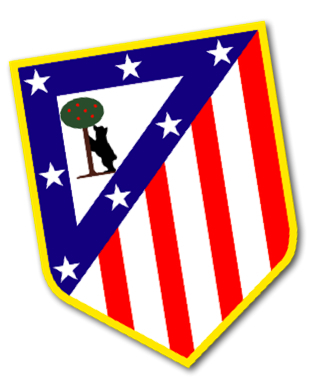 These are exciting times for Spain’s Atletico de Madrid football club. On form on the pitch, the club is also plotting success off the pitch with a new 70,000-capacity stadium to make the next “big leap”. Javier Martinez, Managing Director – Business Development, Marketing & Sales, Club Atlético de Madrid S.A.D., Spain joins TheStadiumBusinessSummit 2014 this June to discuss with our delegates inside-knowledge on plans for its new 70,000 capacity future stadium plus the elements of its new partnership with CenterplateISG. Currently under construction and scheduled to open in 2016, the new stadium is to be created to provide better service and meet the demands of the thousands of fans already related to the club. The Stadium is said to be equipped with the best infrastructure and technological development, with better access, good transport links, a large number of parking spaces, commercial areas, areas for the disabled, with lounges, private boxes and spaces dedicated to fans with modern and spacious dining areas and marketing. With the support of the institutions, Atletico Madrid want to build a new future for and for the city of Madrid, with the intention of owning one of the best stadiums in the world. In another exciting development, Club Atlético de Madrid has also selected CenterplateISG, a joint-venture partnership between global hospitality leaders Centerplate and International Stadia Group (ISG), to develop and manage all food and hospitality services, premium ticket sales and marketing at their new stadium. The agreement is initially for 20 years and it is the first contract in the Spanish market for CenterplateISG. Want to know more? 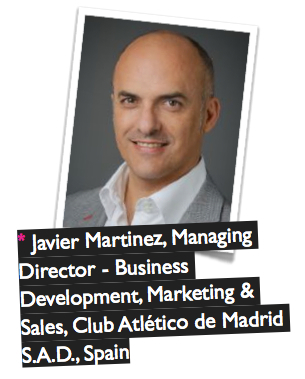 Meet Javier and get the inside scoop, PLUS gain new ideas for your venue, only at TheStadiumBusiness Summit 2014! Email us. Javier started his professional career as the Marketing & Sales Director at Ernst & Young – Innova, and MPG (Havas), to finally land in 2001 at Euro Disney as Vicepresident Mktg & Sales Southern Europe. Just 11 years after joining the company, he was appointed as Vicepresident of Marketing & Sales Disney Destinations France & Benelux at The Walt Disney Company, as the Head for Marketing & Sales strategies and execution for Walt Disney Destinations for France , Belgium and Netherlands. In 2014 he joined Atletico de Madrid as the new Managing Director of the Business Development, Marketing & Sales area, a position he currently holds.